This 11 track debut album by Charles Luck is a team effort and contains a lot of variety as far as sound, as a features a number of musical contributors that vary in style and tone. Luck wrote the songs, and his fellow comrades performed them. Conceptually, the whole release seems meticulously put together as an ambitious and visionary project. One thing this album doesn’t do is disappoint. It is very high quality throughout and Luck and crew leave something for everyone. The songs range from hip hop to adult contemporary rock to spoken word poetry, and yet none of it really seems out of place. Track 2, “Life on Mars,” featuring the terrific singing of Jonathan BT, is the most impressive song in my opinion, and its placement near the beginning is a wise choice, as it sets the tone for this being a polished and professional endeavor. The main single, “Is the Galaxy Just Pimping Me” is catchy and contains a bright and colorful musicality not normally found in most modern hip hop songs. The sparkly and curiosity driven delivery by rapper Tino Red fits perfectly with the question posed as the title of the song. Tino features on several tracks on the album. He maintains a thoughtful, unassuming style consistently, without ever coming across as preachy or lowbrow. All of the performers are solid, and nobody weighs down the ship. Another memorable song is “Stardust,” a minimalist piano number with Ft. Muze providing a stellar vocal performance. 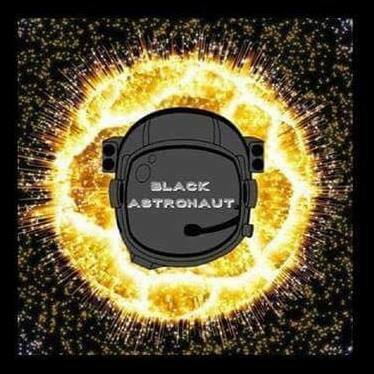 Black Astronaut hip hop collective claims they want to “reintroduce lyric focused rap music to the new generation.” This album certainly succeeds there, but what it also manages to do is reintroduce artistic minded songwriting to hip hop, something that the genre (which is mostly bogged down in mindless materialism) sorely needs. Admittedly, there is a lot of competition in the universe of alternative or “indie” hip hop, but if these tracks were as aggressively marketed as they were produced, I could see the potential for some real hits here.